All the major and not so major games manufactures are represented there, which makes it an incredibly busy place for the 3 days that the conference is held. I found out last year that timing is everything. First thing in the morning and the last day are the best times to go if you want to get round and speak to everyone you want. At other times you really need to have set up a meeting or just be prepared to wait. I learnt from my mistakes last year and think I got it about right this time. Thankfully for me all of the Live Casino providers I wanted to see were at the show, the most difficult thing was finding them amongst the hundreds of stands. Fortunately companies like Evolution Gaming had a big stand in a prominent position, whereas Lucky Streak live were a bit tucked away at the back. I managed to find them all though, that’s the important thing. No sign of Microgaming Live Casino! Rather surprisingly Microgaming were not marketing their live casino product at all. There were no demo’s running and even the mobile section which had mobile live casino in abundance last year were just displaying the latest slots. I guess this has a lot to do with the announcement earlier this year that Microgaming are partnering with Evolution to provide live casinos games to their European targeted customers. Makes sense to me. Something I found out on the rumour mill, not confirmed by any means, but the Hippodrome Live Casino (currently a Microgaming casino) is to be replaced by Evolution. But the bigger news is we may well see Dual Roulette streamed from a table at the Hippodrome land based casino in London’s Leicester Square. I can’t tell you how excited I am about that as I love the Hippodrome and play there all the time when I visit London. I so hope it’s true. Evolution Gaming just seem to get bigger! 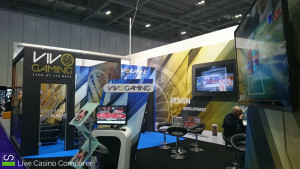 Evolution Gaming had the biggest live casino stand by far, although Extreme Live Gaming could claim the prize as they had a small section of Novomatics stand which was literally half a football pitch.! The people at Evolution were very keen to talk to me and would confirm only what we already know. 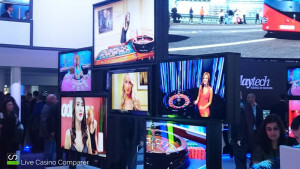 They were using the show to showcase the recently launched games of Baccarat Squeeze, Caribbean Stud Poker and Dual Play Roulette. On the cards for release in Qtr 2 is Live Double Ball Roulette. Their relationships with Games Marketing and Scientific Games is clearing flourishing and we will see the release of Ultimate Texas Hold’em in the summer of 2016. I spoke at length with one of the games designers and he hinted that we may begin to see a range of different variations of live Blackjack and maybe something completely new later in the year. Get your act together Playtech! Playtech continue to be a bit of an enigma to me. They have a good product and are making changes all the time. Have you noticed how closely they follow Evolution? They clearly spent some time and money on their stand, but there was no-one there to talk enthusiastically about the product or wanted to spend more than 5 minutes with me. I’d like to be able to give you loads of info about their plans and developments, but the best I got was an email address of someone to contact. I mean please!! We all know what that means, so here’s hoping. Fortunately most of the other providers were pleased to see me and some spent ages going through their plans and asking me my opinions on their future plans. So in no particular order here’s the rest. NetEnt plan to focus mostly on Roulette. We’ll see a range of dedicated language tables added to the English and Dutch versions already available. 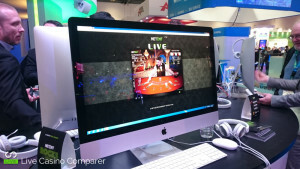 Netent will have a Mobile Live Casino, this is currently in testing so we should see it soon. Whist there was no confirmation there was also no denying that they may be looking at adding new games and might be opening a new studio somewhere. 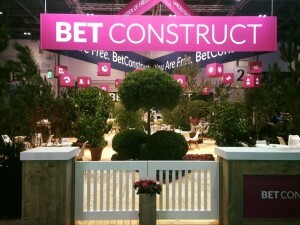 I had a really great discussion with BetConstruct, who have built and are continuing to innovate a great live casino solution. While they mainly target Turkey, Asia and South America they are building a following in Europe as can be seen from the recent addition of Live Russian Poker to their games list. They were keen to point out the differences with their products over their competitors and from a player’s perspective they are quite good. They have a bet building capability on Roulette that allows you to build complicated bets away from the live game and then apply them during the betting window. This allows them to keep betting time to a minimum. The racetrack is displayed around the edge of the table, rather than as a separate section on the screen. A new version of Roulette is being developed for use in kiosks in betting shops and there will be some different betting options and prizes for these games. Another interesting observation is their willingness to partner with their competitors. They have already embedded live games from Ezugi in their proposition and while I was there a delegation from Evolution Gaming arrived. Make of that what you will! XproGaming primarily focus on the Asian market, which is why I found it strange that they appear to have a bit of a chip on their shoulder when it comes to Evolution Gaming. They are clearly unhappy that Evolution have claimed to have the first live Caribbean Poker Game, when they released a version a few years ago. Mobile also seems to be an issue and i’ll go into that a bit later on. Game speed seems to be one of their priorities, they want to keep roulette nice a quick and are about to release multi player Blackjack, akin to the Unlimited Blackjack that Playtech and Netent have. A Wheel of Fortune game is currently in development and and that will go live sometime this year. 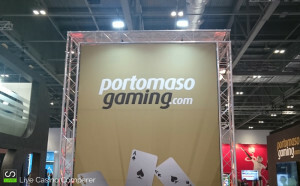 Portomaso Gaming have stopped streaming their own live games and have made them available to the online gaming sector. We are gradually seeing a few more casino taking their product, which offers both Land based and studio based games from the Oracle and Portomaso Casinos in Malta. 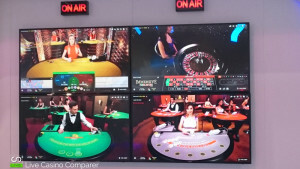 There is now a new studio at the Oracle casino and the playing interface has been redesigned. Mobile is in it’s infancy and I would expect to see this mature during 2016. Side bets will be added to Blackjack which will make them more competitive with their peers. LuckyStreak Live are a new player on the block, you can read more about them in my review here. They have one fully operational studio and are currently getting on board with a number of solution providers to include their live games. Currently there are no active casinos using their product, but I’m led to believe that Casino Cruise will be one of the first to go live during 2016. They have a really interesting proposition, with the player / dealer relationship being at the core of their ethos. While they are no Evolution, they will give the big boys a run for their money. It was also nice to meet some of the dealers,that I’ve been playing against in demo mode for the last few months. 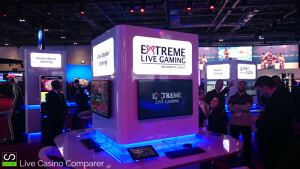 Another relative newcomer, Extreme Live Gaming have started to appear on lots of casino sites, like Leo Vegas, BetVictor, MyBet etc. They also offer something different concentrating on the player experience as well, but they also have a couple of USP’s that make them stand out from the crowd. At the time of the show they were about to release a new roulette game but wouldn’t tell me what or when. So far nothing has appeared so watch out for further announcements. MediaLive look to have improved their product no end. They have an updated playing interface that looked really nice, but I didn’t have a lot of time to delve into the nuts and bolts. Thankfully the salesman was happy to setup a demo account for me so my review will follow when I’ve had a play. 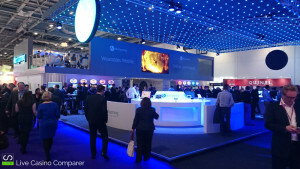 Although Vivo Gaming had a stand I found it difficult to speak with any of the salesman on the stand. Fortunately the people at Vivo have been in touch with me since the show and provided me with a full update on their plans for 2016. There were a few more Live Casino providers at the show, but I didn’t get time to see them all. The ones I missed were Asia based companies providing games specifically for that market. I did however stop by one stand who have a live game called “Barbut”, which is a dice game that is popular in Turkey and Islamic countries. The company, Scripta Gaming, provide live streamed versions of the games that can be plugged into a casinos live casino solution or delivered into shops and betting shops via a terminal / kiosk. There were some notable exceptions that were not represented at the show, or if they were they were hidden out of sight. Global Gaming Labs were absent as were Visionary iGaming and Actual Gaming. Strange really. Live Casino is here to stay and from the look at the providers this is an area that is getting continued investment and development. Partnerships are becoming more key and operators are clearly recognising that to keep up they must have the diversity of games to suit the different markets. Obviously this is a lot to take on by yourself so partnering with other suppliers is a sensible solution. Licensing and regulated markets will continue to challenge the live casino providers, so we will see a few that can afford it do well in the regulated markets. It requires substantial investment to be the first, but bears fruit as we have seen with Evolution Gaming operating in markets like Belgium, Italy etc. Plenty of online casinos have no problem with having multiple Live Casino providers and I see this trend continuing. I’m happy to say that “Player Experience” is at the center of most products now although some will need to improve on the dealer / player interaction, which is still noticeably bad at some live casinos. 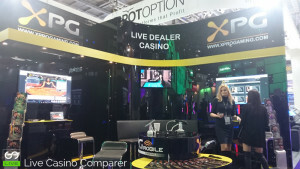 Mobile Live Casino was the big word last year and is again this year. 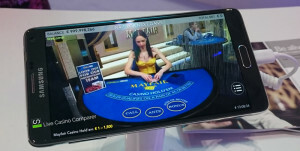 To be successful a live casino provider must have mobile as part of their product range. Some of the suppliers are further forward than others with this. There did seem to be an undercurrent from some of the suppliers about the technologies being used for mobile, accusing one of the major providers of lying, saying they were using HTML5 when in fact they were using some other technology to make their mobile product work. I really don’t understand why this matters. Each company should concentrate on their own products and technology and use whatever is best to deliver their products to the consumer. Very much a storm in a teacup if you ask me.! All I ask and expect is that whatever mobile device I have, be it Android or IOS, is that all the games are available for me to play. I don’t mind if it’s an App or HTML5 or browser based, just make sure it works!. Live Casino is going from strength. The major players are investing heavily and newer companies are still able to get in foot hold in the market with niche products or just doing things better than the big boys. Keep an eye out as I’ll be updating Live Casino Comparer on a regular basis as things change throughout the year.